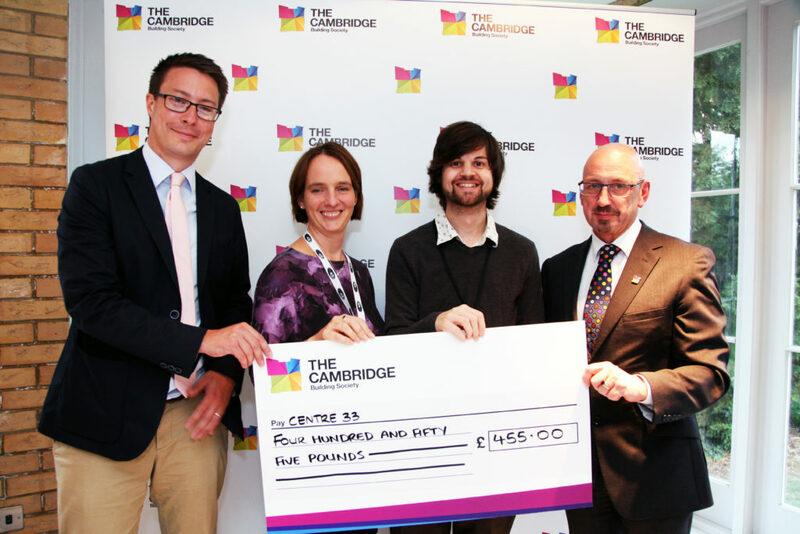 Centre 33 were thrilled to be among recipients to benefit from the Cambridge Building Society 2018 Cash for the Community initiative. Beth Green and Gavin Chappell-Bates, of Centre 33, were among the guests attending the awards ceremony at Hotel Felix where they were awarded a cheque for £455. We are extremely grateful to the Cambridge Building Society, and for all the members of the community who took part in the vote. All funds we receive at Centre 33 help us to deliver our services to young people across the region.